One of the best things about the onset of spring is the variety of salads just waiting to be created. 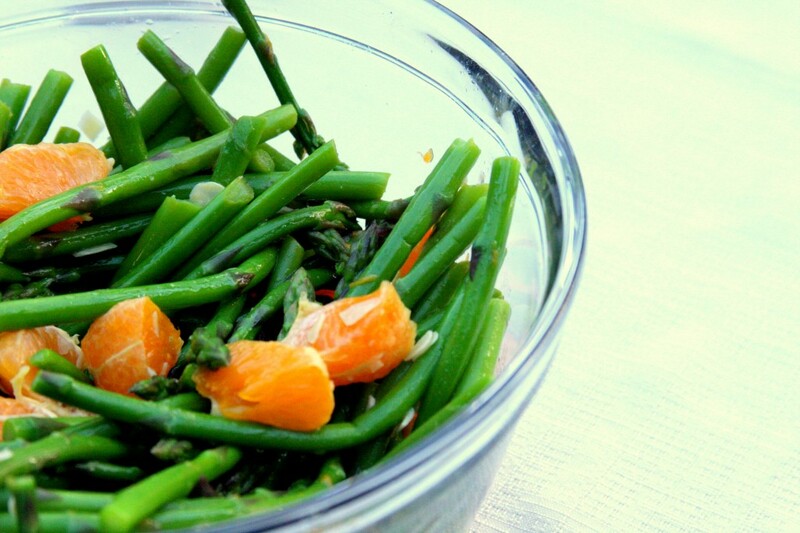 This one is lovely- the bright green of the asparagus, the citrus sweetness of tangerine and a hint of sesame make it a perfect pairing for an asian-themed meal. You could also just serve it with rice and grilled chicken- great for dinner. 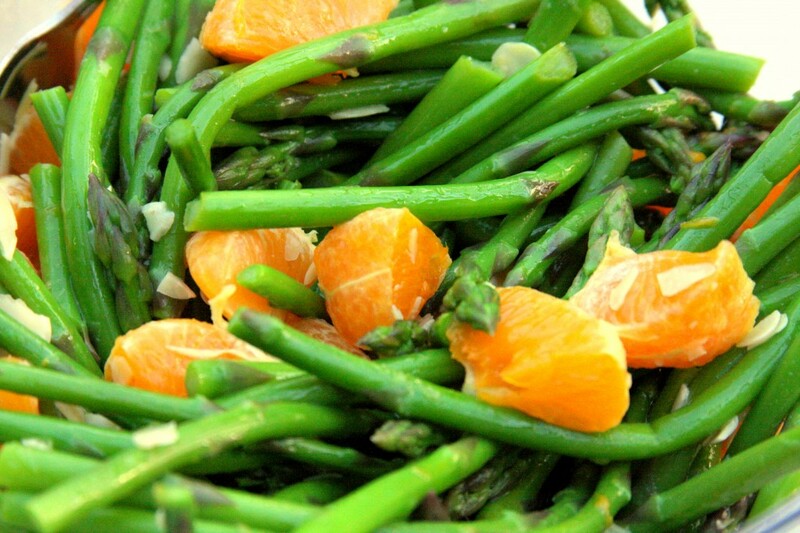 I think next time I would add a small spoonful of dijon mustard to the dressing, cut the asparagus a bit smaller so they could be coated more evenly with dressing, and remove the membrane from the tangerine sections. I might even use a touch of the zest in the dressing. Cut into thirds or bite size pieces. Cut the tangerines into sections, and remove as much of the thin membrane around the sections as you can, if you wish. Mix together the tangerine juice, rice vinegar, sesame oil, salt and pepper (add in a little dijon mustard or grated fresh ginger if you wish). Toss with asparagus and sprinkle sesame seeds over top before serving.